What is the perfect car for a learner driver? Home › Advice › What is the perfect car for a learner driver? Appealing – it has to have a sense of fashion to be appealing to the younger generation. 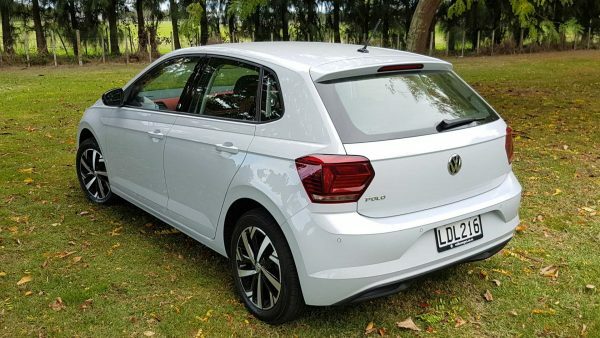 We searched around, looking for something that would be under $30,000 new and one of the few we encountered was the VW Polo TSI DSG at $27,990. The Beats edition adds some funky flavour for another $2000 with extra graphics, better seats, a colourful (but tasteful) interior and a ‘Beats by Dr Dre’ sound system with 300W subwoofer. We borrowed the Beats for a weekend trip from Auckland to Napier and back to assess it. Learner drivers need a car that is predictable, won’t bite them and feels solid on the road. The VW Polo delivered on all those fronts. It’s not fast – the 1-litre turbo engine produces a meagre 70kW and 175Nm – but it had enough grunt to get by trucks in passing lanes and didn’t struggle to maintain 100km/h up the steeper hills on the Napier-Taupo road. This frugal engine is rated at around 4.6l/100km; we achieved 6l/100km on the 900km trip, which included 1 passenger and luggage. In Napier town, the Polo was easy to park. At only 4053mm long, it’ll get into some quite tight spaces and, with the reversing camera and sensors, it’s difficult to get parking wrong. The Polo is packed with as many safety features as cars costing $10,000 more. There’s the standard anti-lock braking and electronic stability control package, electronic differential lock, hill start assist, tyre pressure monitoring, six airbags, pedestrian monitoring, fatigue detection, autonomous emergency braking, blind spot monitoring and rear traffic alert. It should be virtually impossible to have an accident in this vehicle, which is good for learners. The Beats package adds the better stereo, some highlights and decals on the exterior and a funkier interior. Other than that, it’s no different to the standard TSI DSG. Personally, I would save $2000 and go for the standard version. However, if music is important to you, the Beats option does provide more output power and sonic range, looking at specifications alone. The Polo itself is a chiseled small car that is neither masculine or feminine – it should appeal to both equally. 16-inch alloys come wrapped in 195/55R16 tyres which provide plenty of width for grip on all surfaces without the additional noise associated with wider tyres. In fact, it was noticeably quieter than our usual hack, a Golf GTI with 225 width tyres on 18-inch alloys. There are 2 USB ports for recharging and connect devices. We managed to connect both a tablet and smartphone at the same time, although the interface to switch between them was a little clunky despite being on an 8-inch touchscreen on the dashboard. Smartphone connection via Bluetooth is painlessly simple. 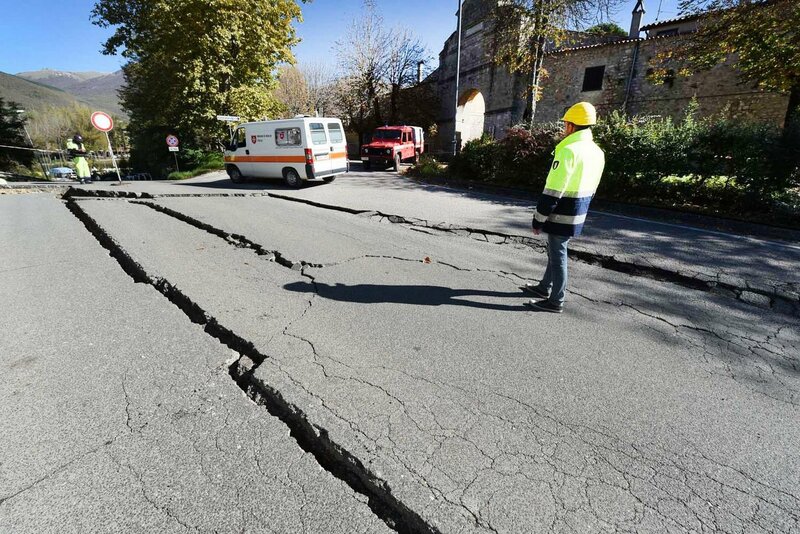 You know that young drivers will be tempted to use their phone, so having the best connectivity possible to make it easy to access those critical operations is better than leaving them fumbling in their lap. It supports Apple CarPlay and Android Auto for easy control of those devices. 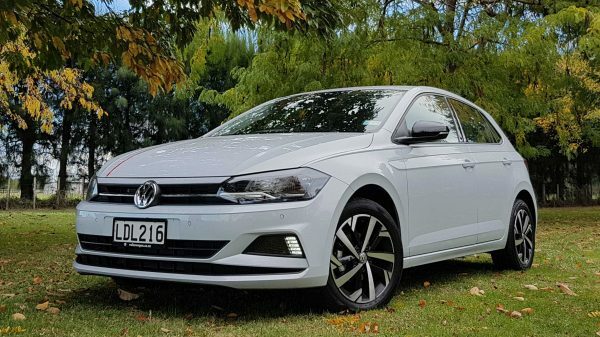 If you’re looking for a car that will maintain a modern look and should give trouble-free motoring, the Polo appears to deliver. Many people will baulk at paying for a new car when they could buy a second-hand car for half the price, but new drivers are more likely to crash and therefore should drive vehicles that are as new as possible; they need the additional protection that a modern vehicle gives. The Polo seems to be a car that you wouldn’t grow out of unless you had children. 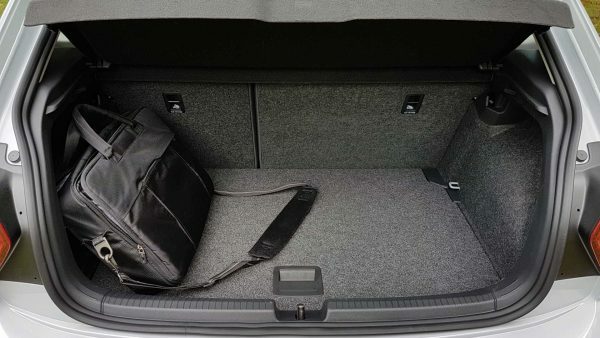 The boot is a little small for longer road trips. The high-beam dashboard light is right where the rev counter needle sits when cruising, so is always partially obscured. It always feels like it’s in a gear that’s slightly too tall for the speed (something that can be rectified by using S mode in the gearbox, but at the expense of fuel economy). The seats were hard for a long trip; they might soften over time. The perfect car for a learner driver should always be one that you can afford. Don’t get yourself into unmanageable debt purchasing a car. The Polo was loaned to us by European Motor Distributors. We were not paid or incentivised to write this review. We recommend you get independent advice before you choose a vehicle. ‹ When can’t you drive?